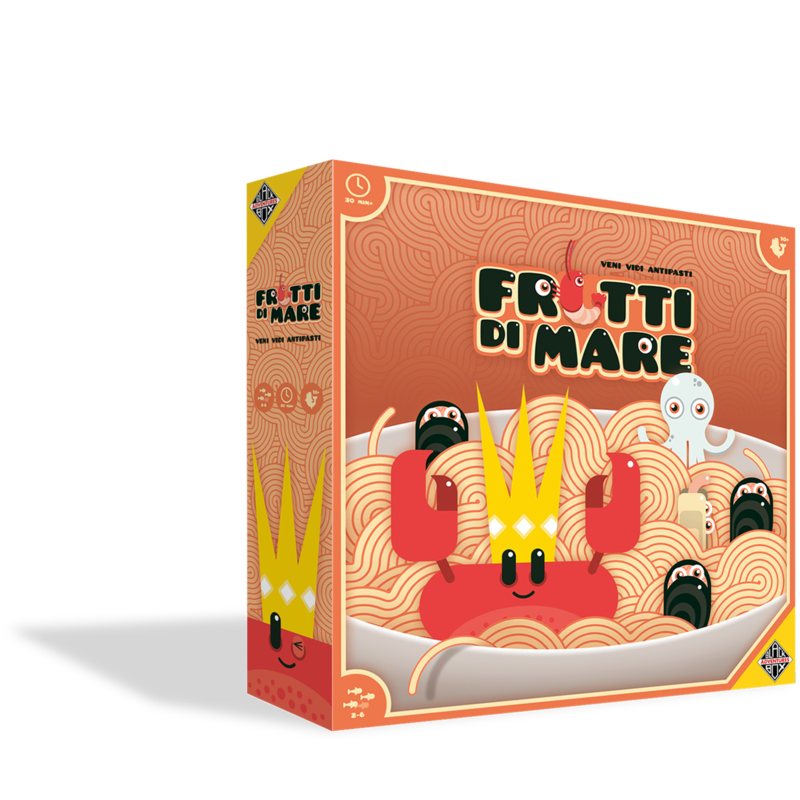 Order this strategically delicious and cutest board game now! A deadly combination bound to give you a delicious taste of war. At the head of the army stands the great King Crab: commander of vast seafood armies, breaker of chains and inspirational leader in the most dire of times. The ranks of your army consist of a nicely balanced mix of Mighty Mussels, Cunning Calamari, and Shy Shrimps, topped with some Smoking Salmon and Loyal Lobsters. Frutti di Mare offers a wide palet to satisfy every taste. Except vegetarians of course.